A vague sadness looms over the days and weeks following the annual Grey Cup game. This all-important finale marks the end to the year’s CFL season. Everything comes to a standstill. The year is built on rough and tough plays, unpredictable wins and losses, surprising statistics, and the firing, hiring, and trading of players and coaches. Anything can happen in the season. Unexpected! Unanticipated! Sometimes ending with a dramatic and exciting finish like this year! Bruce Arthur, sports columnist for the Toronto Star, summed up the Toronto Argos’ unbelievable win in the final captivating minutes of the game with these words. “This is the CFL, though. This is Canadian football. Bo Levi Mitchell hit Jorden for a deep ball, a gutsy throw. He had a shot at the end zone. The ball sailed up through the snow, and for a second in the press box a reporter yelled, “He’s open!” The clock was ticking down. You can breathe now. The game is over. But you have to admit that as the clock ticked down, you must have held your breathe like I did. No surprise here, I am not a sports columnist and this is not a sports blog. So, why am I sharing Bruce Arthur’s sports column about the upheaval the Toronto Argos created for the Calgary Stampeders in Sunday’s Grey Cup Game? Hidden in the sports columnist’s writing is one word which defines the chances of this happening. Read it again. Search for it. See if you can find it. The word is “somehow”. There’s a mystery surrounding this word. “Somehow” means “in some way” or “by some means”. Unknown! Unexplainable! As a financial planner, I am all about “certainty” and “surety” especially when it comes to having a “game plan” for the future. Yet, I appreciate the similarities between a well-played, well-executed football game and a well-designed, well-executed financial plan. Both have the ability to create winning drives which result in achieving goals and dreams. When the word, “somehow” gets thrown in, it seems like any clear thought out plan did not exist. There’s no strategy; there’s no planning with “somehow”. Wouldn’t we rather be certain about our financial future than uncertain? Somehow means we’re not sure. Somehow, one day we will pass our business to our children. Somehow, one day we will retire. Somehow, one day we will be debt-free. Think of your life as one important Grey Cup game. Imagine each of your life planning stages divided into separate quarters. The 1st Quarter is your 20’s, 30’s and 40’s. The 2nd Quarter is your 40’s to early 50’s. The 3rd Quarter is your mid-50’s to early 60’s. The 4th Quarter is your 65 to 70. Then you are at the Grey Cup Party, enjoying your well-designed retirement into your 70’s and beyond. When the game is well-played and has ended, you have the distinct privilege of hoisting your victory cup, living your dream retirement. Every quarter, or life planning stage, has its own unique challenges. Each quarter will come with a change of priorities, circumstances, and needs. When you create winning plays in each quarter, you will reap the benefit when your game is complete. Your life’s playbook is specific to your needs and should be designed to drive your goals and dreams. You shouldn’t have to wonder whether somehow you will achieve them. At age 20 or 30, your retirement years will feel so distant when your focus is on paying off your student loans, planning your wedding, acquiring a house, and raising your children. At age 40, your retirement will feel more realistic. By the time you are 55, you might recognize retirement knocking on your door. By 65, you may actually retire. No football game ever plays out the way we would like. Real life is like this too. Your playbook is a compilation of strategies built on everyday realities. 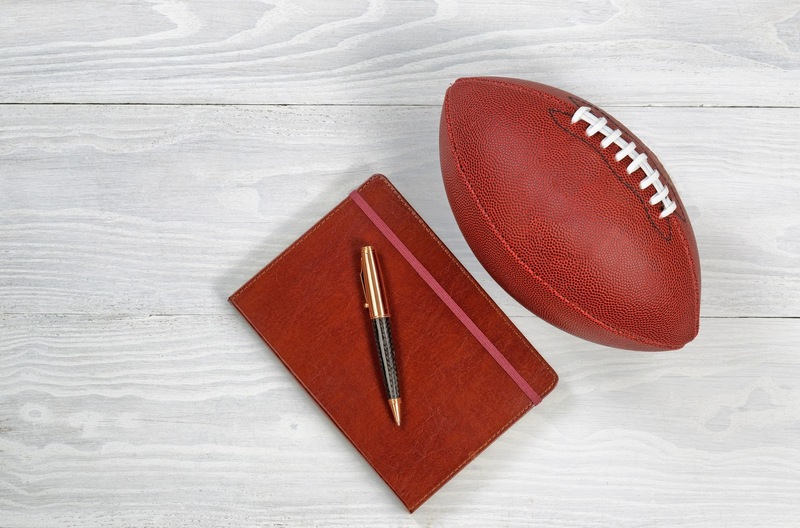 Winning plays are created to tackle your debt, pick you up after a fumble, and to keep you in bounds with your spending plan. Specific interferences can rock your game plan. Your drives might need to be tweaked to combat life’s intrusions, like a disability, an unexpected death, or the adversity of a divorce. Financial planners know that creating your own winning plays might be difficult. A financial plan, is like a playbook, specifically aimed at successfully reaching your retirement goal. Having a plan is far better than wondering if “somehow” you can win without one. No longer will your retirement have to be an elusive dream, some pie-in-the-sky fantasy. When preparation and planning begin early and play a part in all life stages, your dream can become reality. Robert Collier makes an excellent point. He conveys “Success is the sum of small efforts repeated day in and day out.” When you believe this to be true, you will be ready to design your game-winning playbook. It’s obvious, isn’t it? The zoom tool on a software program is used to make our text or images appear larger. When we click on the magnification icon, we can see our working image or document much clearer. A prototype of this tool can be invaluable for looking at our circumstances. Sometimes, we have a minuscule view of our financial future. A zoom tool would help change our settings to a grander view for a bigger and brighter future. Undoubtedly, thousands of books are written with helpful advice to do just that, to improve our financial well-being so we can have a better outlook. Here’s a different kind of book to add to our collection. It’s not about money; it’s about thinking. The book, How Rich People Think, may be our “zoom tool” to change our perspective. 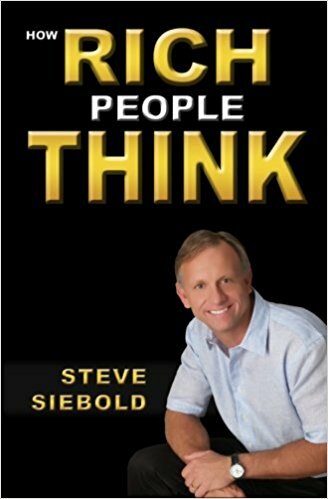 Steve Siebold, the author, identifies one hundred different ways the middle class and world class think, focus, believe, worry, earn, equate, experience, and dream about money. Every short chapter compares the “middle class” (the average person) and “world class” (world class thinker). This book made me curious about examining how I think. Do I think like the middle class or the world class? You may be wondering the same thing about yourself. I met Steve Siebold when he and his wife, Dawn Andrews, instructed the Bill Gove Speech Workshop in Chicago. Steve is very sincere and genuinely interested in helping others succeed. Like he says in his introduction, he was inspired by the wealthy. As a college student who was completely broke, he set himself on a journey looking for answers to become rich. Steve said when he changed his thinking, he eventually became a millionaire. He wrote this book to be our guide. “What does he say?” you might ask. To whet your appetite and convince you that owning a copy is justifiable, I am sharing a summation of only four of Steve’s observations. Again, like me, you won’t be surprised by the findings. If these have crossed my path, I know they likely have crossed yours. 1st. Middle Class believes money is the root of all evil…World Class believes poverty is the root of all evil. How many times have you heard this infamous saying, “money is the root of all evil”? You, like me, and countless others may have been brainwashed into believing this to be true. Steve is quick to point out that it’s a result of poor programming and ignorance which infected us with the disease of focusing on lack and limitations. The world class thinks differently. Although they realize money will not buy happiness, they know their life will be better because of it. They choose to focus on the wealth within themselves and build world class beliefs to create a better life for themselves. 2nd. Middle Class worries about running out of money…World Class thinks about how to make more money. If we lie awake at night worrying about our finances, we could take a lesson from the World Class. When the World Class thinks about how to make more money, they think about how to creatively solve problems. Certainly there is no lack of problems in our world today. The middle class have a tendency to focus and direct their energy on worrying about a shortage of money; the world class use their creative energy to develop great ideas to ensure they have a continuous cash supply. 3rd. Middle Class has a Lottery Mentality; World Class Has an Action Mentality. 4th. Middle Class believes money is complicated…World Class believes money is simple. However, if you are interested in making the transition to the World Class, Steve offers useful zoom tools at the end of each chapter: an inspirational quote, additional rich resources, critical thinking questions, and action steps. These magnification tools will help you zone in on any problematic thought patterns as well as offer inspiration and guidance to take you on a new journey. Like Steve, I want you to succeed financially. Examining how we think might be a revelation that will result in a positive change. When you dissect your belief system, who knows what you will find. What is Your Farm Child’s Sweat Equity Worth? When I don’t know the answer to a burning question, I go hunting for it. Usually, the best answer is found by researching the topic. What do the experts say? They’re the ones with the insight and experience. We look for answers in the same way we hunt for a tasty recipe, an effective worksheet, or a lucrative bargain. When we need to know something, we will discover the path. Recently, the agonizing question was calculating sweat equity. Each farm family, who has worked together for many years, has a different way and means for determining the value each family member brings to their business. Until I began researching the topic, I believed the contentious issue was limited to only sweat equity. I had no knowledge that slave labour was also prevalent on some Prairie farms because of unfair compensation. Here is something I do know: Peace and harmony are achievable among family members when you begin your succession and estate planning early. Determining what your farming child brings to the business in the way of labour and management abilities may play a big part in getting your succession plan off the ground. Sweat equity is certainly an important component of the plan. On my discovery path, I came across an article written by Country Guide’s senior editor, Maggie Van Camp. She did her homework. She hunted down experts and shared their expertise in her article, Cleaning Up Sweat Equity. If you catch yourself awake at night because you are wrestling with the best way to treat your children fairly, you might find some comfort in her publication. I see a line that eventually gets crossed. Initially, a farming child may be working for Mom and Dad but eventually working with Mom and Dad. What may begin as compensation for hired labour may later be factored as a combination of compensation and sweat equity for their contribution. One of leading experts is David Goeller, a transition specialist with the department of Agriculture Economics at the University of Nebraska-Lincoln. He provides an example in his paper, Putting A Value on Sweat Equity, as a guideline to determine the successor’s contribution based on the Net Worth of the family business at two specific time periods. You can liken this to “before and after” financial snapshots of the family farm. 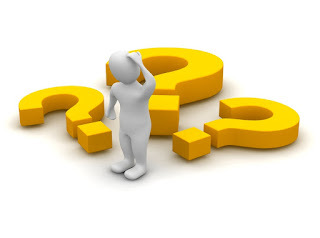 What was the farm’s financial net worth before the farming child returned and then after his return at a specific future date? All participants, Mom and Dad and their farming child, will share in the growth of the business. The example set forth by David Goeller is only a guide. This is a starting point which you can build upon. As he states in his paper, every operation will have different factors and likely arrive at a different percentage for the value of the successor’s contribution. Your succession and estate plans are important but when you can estimate sweat equity you are one step closer to finalizing these plans. 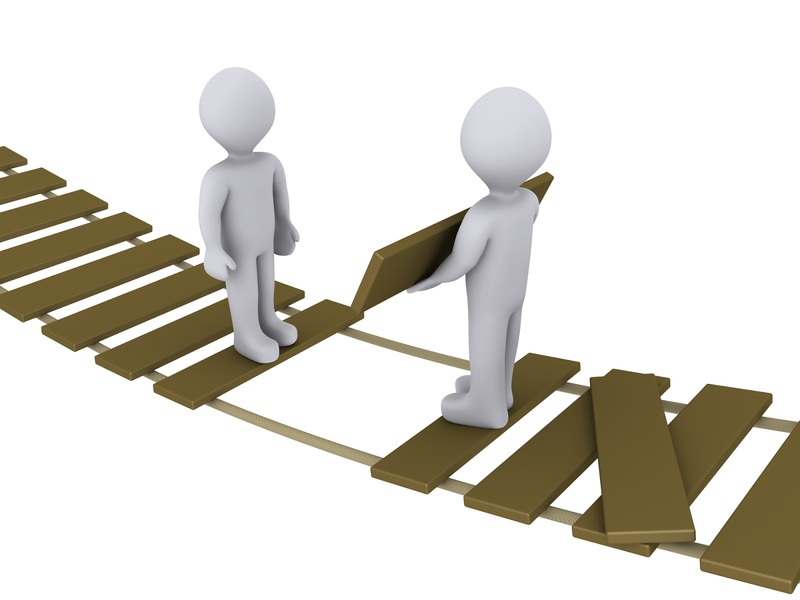 We are often reluctant to do something unless we understand the purpose of a specific activity. 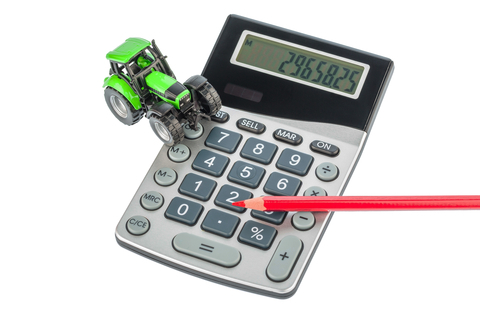 Diligently keeping accurate Net Worth Statements provides proof of the farm equity built up over the years as a result of your efforts and those of your farming child. This evidence may be the proof needed to convince yourself as well as other non-farming members. I fear that if there are no means of tracking, then you have no means of measuring financial success. You may even recognize that your farming child’s contribution may be the leading factor in the expansion and profitability of the farm. Without his or her labour, management ideas, specialized knowledge, leadership abilities, and experience, your farm may not have advanced as efficiently on your time clock. Using the financial statement as an assessment tool, or job performance report, may provide evidence for delivering compensation in recognition of a job well-done. Whether your farming child is the brains-behind-the-operation and/or the grunt-labour, you have a method to measure their contribution. 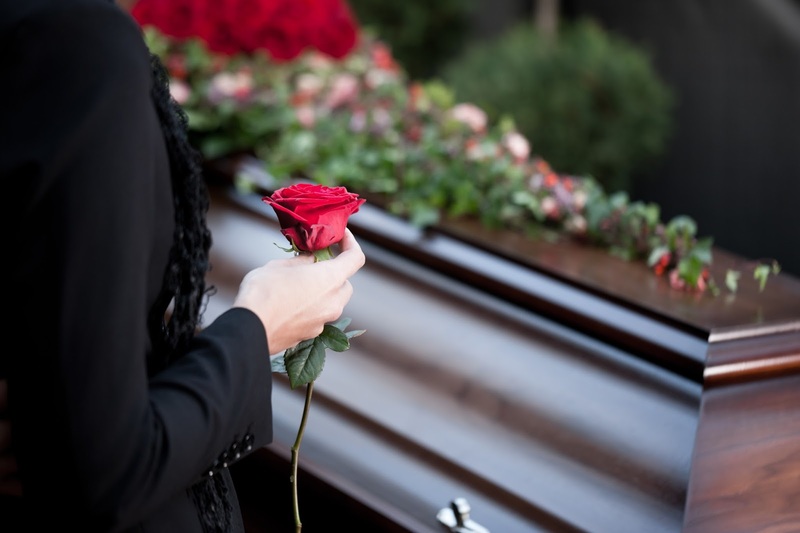 The saddest outcome for any family is to find themselves in court disputing an estate settlement. Parents are somewhat reluctant to openly discuss the decisions they have made about the division of their family farm property. Your intentions shouldn’t surprise family members. Once you have a tentative decision, then your next step is to share this with your family to avoid any future litigation in court. 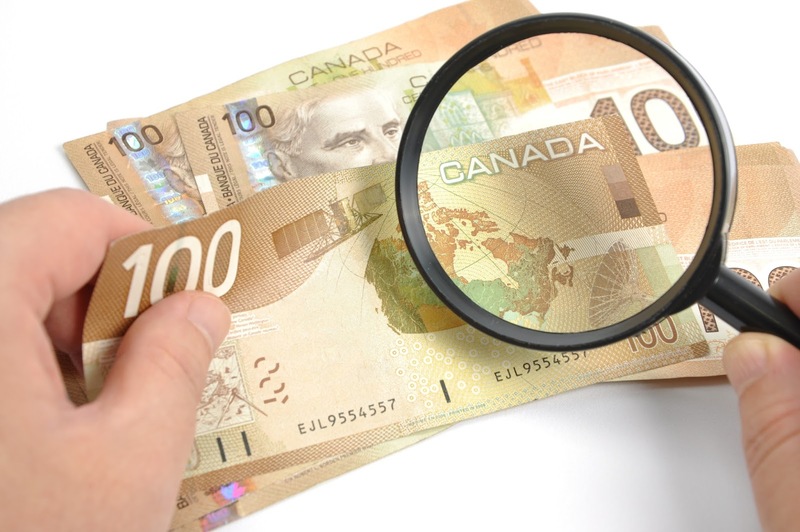 Your Net Worth Statements over multiple years will provide concrete proof of the family member’s contributions. This truth allows you to justify your actions to your children while you’re alive rather than have them wonder what you were thinking once you’ve passed away. 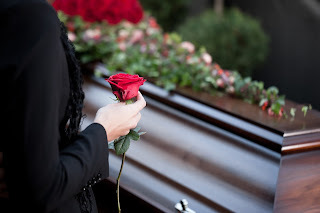 I’ve heard comments, “I’m afraid what our other son will think if we leave our home quarter to his brother.” I realize fear is often a factor that hinders people being open and honest. Having family members duke out unresolved issues in court is far worse than you facing your fears and sharing your intentions. Information educates us about issues we might normally never have considered. Arming yourself with a wealth of resources is equivalent to arming yourself with ammunition. When you do, you are prepared to set the stage for meaningful conversations with your family to determine what works for you and them. I recognize the benefit of starting the “planning phase” early so you can measure the fair market value of your farm at pre-set increments to determine the contribution your farming child makes (or doesn’t make) to your farm business. In the end, I value and appreciate the wisdom David Goeller shares as he wraps up his paper. 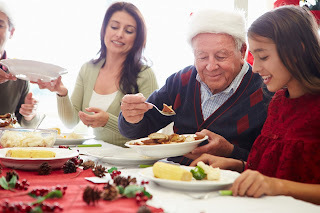 The main desire is to ensure your family will all be eating Christmas dinner together for years to come.